Rev. Dr. Marshall Elijah Hatch, Sr. has been the Senior Pastor of the New Mount Pilgrim Missionary Baptist Church of West Garfield since 1993. Born March 11, 1958 in Chicago , Illinois , his spiritual development began in the Shiloh Baptist Church under the pastorate of his father, the late Reverend Elijah J. Hatch. In 1985 he was ordained and appointed as the Pastor of Commonwealth Baptist Church of North Lawndale. In the Summer of 1998, he was awarded the Charles E. Merrill Fellowship of Harvard Divinity School in Cambridge , Massachusetts . This highly coveted fellowship in residence was shared with three other distinguished scholars in the practice of ministry in the Spring of 1999. In August of 2000, he was appointed Adjunct Professor on the faculty of McCormick Theological Seminary. In 2010, he was appointed Adjunct Professor of Northern Seminary. Throughout his ministry, Marshall Hatch has commenced numerous innovative community outreach programs. Most notable among these are: the Westside Isaiah Plan – Interfaith Affordable Housing Construction; an annual pilgrimage to Zimbabwe, Africa; an Illinois Department of Corrections and Cook County Jail visitation and correspondence ministry; Mountain Men’s Ministries and Enterprises; the Christian Sisters Women’s Ministries; a Substance Abuse Task Force; and the Pilgrim Community Development Corporation (Pilgrim Village). Rev. Hatch has a history of civic involvement spanning over two decades. He served as a member of the Chicago School Board Nominating Commission from 1989-1991. 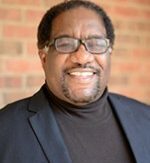 He served as Moderator of the Friendship Baptist District Association and he is the National Director of Religious Affairs of the Rainbow PUSH Coalition. He also serves on the board of the African American Leadership Partnership and Westside Ministers AIDS Coalition. He and his church are actively affiliated with the American Baptist Churches of Metro Chicago, the Illinois National Baptist State Convention, and the National Baptist Convention of America, Inc. He is presently involved in the formation of the Chicago Metropolitan United Power for Action and Justice. Marshall Hatch is married to the former Priscilla Murchison and they are the parents of four children; Joyce, Janelle, Marshall and Maurice.